All animals and plant life require calcium to survive. Calcium reduces soil acidity, returning it to a healthy pH and plants use calcium for cell wall development which not only protects the plant from foreign pathogens, but also allows the plant to grow. Calcium also contributes to the plant’s metabolism, nitrate uptake, and enzyme and beneficial microbe activity. Simply put, calcium-deficient plants have difficultly absorbing nutrients, making them less nutritious and robust. Calcium is often accompanied by phosphorous, which is also necessary for plant health and contributes to moisture regulation, photosynthesis, respiration, and the plant’s metabolism. If you notice that your garden is particularly weak or frail, it is very possible that you have calcium and phosphorous deficient soil. To determine whether or not your soil has a calcium deficiency, get your soil tested at a soil lab. Testing is crucial – and you should do so prior to adding in calcium as it is much easier to add in calcium than subtract it. A full soil analysis will also show you all macro nutrients (N,P, K) and major trace minerals for plant growth (B, Cu, Ca, Na, Mg, Mn, etc). If you find that pH levels are too high (acidic), you can add calcium into the soil to return it to a healthy level. The ideal soil pH is 6.8-7.2. The preferred methods for increasing calcium are adding in granular or pulverized limestone, egg shells, or gypsum. Measure your soil's pH levels again prior to planting your next crop to unsure that everything is just right and check it in the spring of every year. Most folks who are new to gardening understand the value of adding in nutrient rich hummus, compost, and fertilizer to their soils, but they may not think of the soil as a complex, living ecosystem. This is an important concept to commit to memory and live (garden) by. Your soil is home to a wide array of microbes, enzymes, worms and insects, and the many of these critters live in symbiosis in a way that is beneficial to your garden's health. A healthy ecology will result in robust crop yields and contribute to your plant's ability to resist disease and pests. The end result is a more beautiful garden with higher quality fruits and vegetables. In addition to adding in nutrient-rich hummus – we recommend the bokashi fermentation process – you should also add in an organic microbial inoculant amendment to your soil. A quality microbial inoculant will enhance the soil with valuable microbes, enzymes and minerals, which in turn support a healthy ecology for healthy plants with a strong nutrient uptake. The result is more delicious, nutrient-rich fruits and vegetables. The best time to add in a microbial inoculant is in the evening. Simply add in the recommended amount to the reservoir of a hose-end sprayer and moisten the soil. Plants do not exclusively absorb nutrients through their roots; they can also drawn in nutrients through their external stems and leaves. Research has shown that applying nutrients directly to the leaves – a process also known as “foliar feeding” – is an effective way to increase micronutrient absorption and overall plant health. 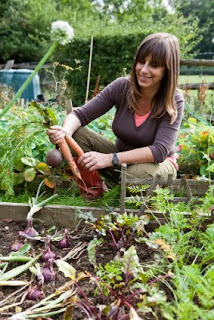 Just as you did prior to planting, moisten the crop with a water-fertilizer mix (preferably organic) with your sprayer. You can ramp up the effects by coupling the liquid fertilizer with a microbial inoculant – the very same product previously mentioned. The microbes will enhance the process by introducing additional antioxidants, bioflavinoids, vitamins, and other micronutrients, all of which are natural byproducts of these microorganisms. The result is nutrient-dense crops that are healthy, robust and disease resistant.